I'm a final year PhD student within the Centre for Medical Image Computing at University College London. CMIC is an interdisciplinary centre within the departments of Computer Science and Medical Physics & Bioengineering. I have been supervised by Professor Derek Hill, Dr Sébastien Ourselin, and Professor Nick Fox, who is at the Dementia Research Centre within the Institute of Neurology at UCL. I am also supervised by Dr Brandon Whitcher, who is based at GlaxoSmithKline. GSK, together with the EPSRC fund my PhD through a CASE Studentship. For further information, please download my CV in PDF format. An example of a patient with probable Alzheimer's Disease [anonymised data from the DRC, ION, UCL]. (a) Sections of a 3D T1-weighted MR Image. (b) The same, from a scan taken one year later, rigidly registered to the first. (c) A subtraction image indicating structural changes over time. (d) The determinant of the Jacobian matrix from a high-dimensional registration between the images — brighter colours indicate tissue expansion; darker, contraction or loss. Analysis of local measures of change (such as the above Jacobian determinants) among a group of subjects, perhaps divided into sub-groups such as patient and control, requires that the different subjects be spatially normalised into correspondence — a challenging task due to the natural anatomical variability in the human brain. Furthermore, statistical analysis, and necessary preprocessing such as data-reduction, should take into account the different factors (or "modes") of variation: spatial, temporal, and individual (perhaps including nested factors such as different subjects within certain sub-groups). Ridgway, G.; Omar, R.; Ourselin, S.; Hill, D.; Warren, J. & Fox, N.
Issues with threshold masking in voxel-based morphometry of atrophied brains. Tofts, P. S.; Jackson, J. S.; Tozer, D. J.; Cercignani, M.; Keir, G.; Macmanus, D. G.; Ridgway, G. R.; Ridha, B. H.; Schmierer, K.; Siddique, D.; Thornton, J. S.; Wroe, S. J. & Fox, N. C.
Imaging cadavers: Cold FLAIR and noninvasive brain thermometry using CSF diffusion. Ridgway, G. R.; Henley, S. M. D.; Rohrer, J. D.; Scahill, R. I.; Warren, J. D. & Fox, N. C.
Ten simple rules for reporting voxel-based morphometry studies. Camara, O.; Schnabel, J. A.; Ridgway, G. R.; Crum, W. R.; Douiri, A.; Scahill, R. I.; Hill, D. L. G. & Fox, N. C.
Accuracy assessment of global and local atrophy measurement techniques with realistic simulated longitudinal Alzheimer's disease images. Henley, S. M. D.; Wild, E. J.; Hobbs, N. Z.; Warren, J. D.; Frost, C.; Scahill, R. I.; Ridgway, G. R.; MacManus, D. G.; Barker, R. A.; Fox, N. C. & Tabrizi, S. J. Defective emotion recognition in early HD is neuropsychologically and anatomically generic. Camara, O.; Schweiger, M.; Scahill, R.; Crum, W.; Sneller, B.; Schnabel, J.; Ridgway, G.; Cash, D.; Hill, D. & Fox, N.
Phenomenological Model of Diffuse Global and Regional Atrophy Using Finite-Element Methods. Modat, M., Ridgway, G., Taylor, Z., Hawkes, D., Fox, N. & Ourselin, S.
A Parallel-friendly Normalised Mutual Information Gradient for Free-Form Deformation. Ridgway, G.; Camara, O.; Scahill, R.; Crum, W.; Whitcher, B.; Fox, N. & Hill, D.
Longitudinal Voxel-Based Morphometry with Unified Segmenation: Evaluation on simulated Alzheimer's disease. Camara, O.; Scahill, R.; Crum, W.; Schnabel, J.; Ridgway, G.; Hill, D. & Fox, N.
Evaluation of local and global atrophy measurement techniques with simulated Alzheimer's disease images. Camara, O.; Scahill, R. I.; Schnabel, J. A.; Crum, W. R.; Ridgway, G. R.; Hill, D. L. G. & Fox, N. C.
Accuracy assessment of global and local atrophy measurement techniques with realistic simulated longitudinal data. 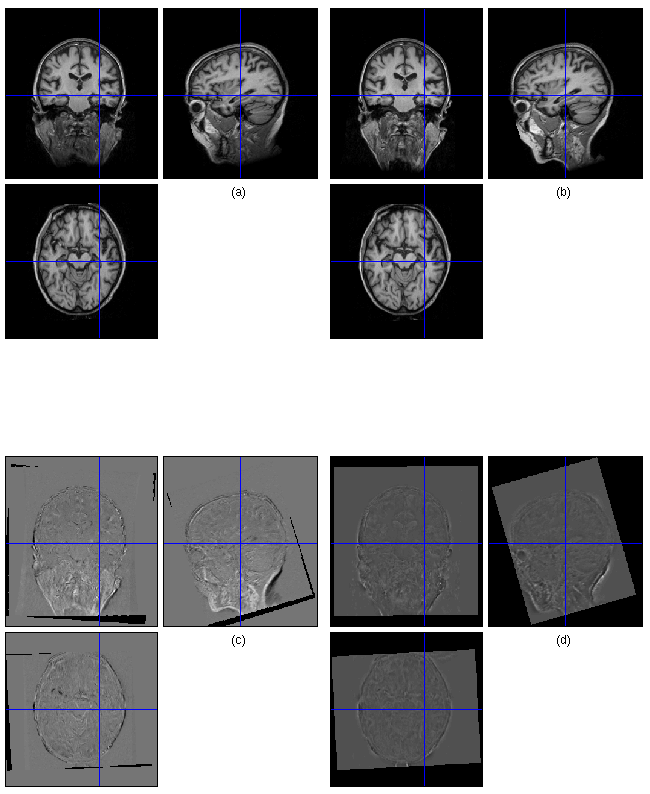 Camara-Rey, O.; Sneller, B. I.; Ridgway, G. R.; Garde, E.; Fox, N. C. & Hill, D. L. G.
Simulation of acquisition artefacts in MR scans: effects on automatic measures of brain atrophy. Ridgway, G. R.; Whitcher, B.; Hill, D. L. G. & Fox, N. C.
Longitudinal Multivariate Tensor- and Searchlight-Based Morphometry Using Permutation Testing. Nichols, T.; Ridgway, G.; Webster, M. & Smith, S.
GLM Permutation - Nonparametric inference for arbitrary general linear models. Ridgway, G. R.; Scahill, R. I.; Hill, D. L. G. & Fox, N. C.
A Comparison of Voxel Compression Mapping and Longitudinal Voxel-Based Morphometry. Scahill, R.; Ridgway, G.; Black, R.; Grundman, M.; Hill, D. & Fox, N.
ICAD IC-104-01 Regional distribution of grey matter changes in Abeta (AN1792) immunized patients with AD: A voxel-based morphometry analysis. Ridgway, G.; Fox, N. & Hill, D.
Looking for patterns in brain atrophy - principal component analysis of structural MR images. I frequently offer help on the mailing lists for SPM and FSL, have helped to edit parts of the SPM WikiBook, and have contributed to CMIC's internal Wiki.